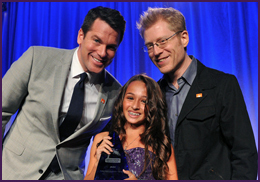 On June 25th, 2012, 11 year old Jazz was awarded the Colin Higgins Youth Courage Award at the TREVOR PROJECT GALA in New York City. She gave a heartfelt acceptance speech to a room full of 1,000 adults including celebrities like, Susan Sarandon, Debra Messing, Eric McCormick, Stanley Tucci, Anthony Rapp plus many others. 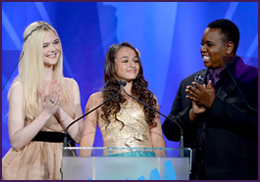 Jazz is the youngest recipient of the Colin Higgins Youth Courage Award. 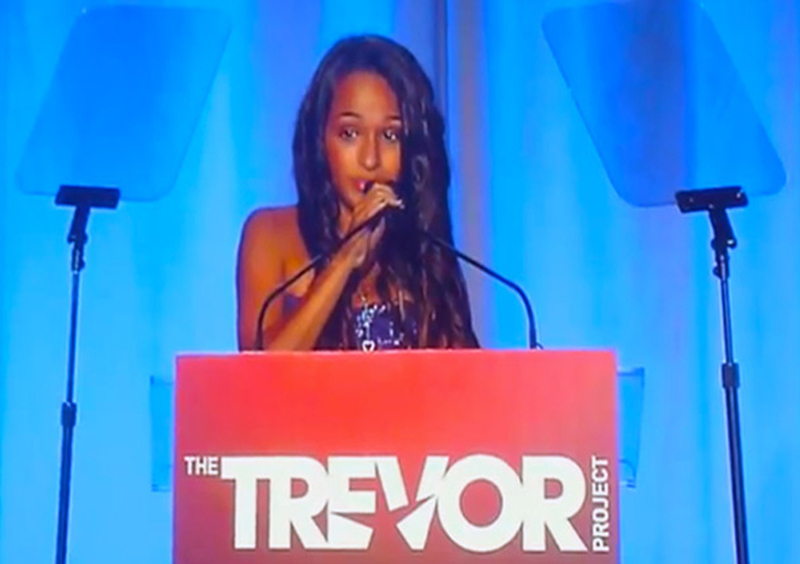 She was poised and self confident and is an inspiration for other transkids. The Colin Higgins Courage Awards were created to honor ordinary yet remarkable individuals whose courage helped to educate and enlighten others about the lesbian, gay, bisexual, transgender, and queer experience. 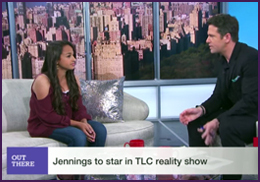 While in New York, Jazz and her family marched in the NYC Pride Parade, and had an incredible interview with Barbara Walters. 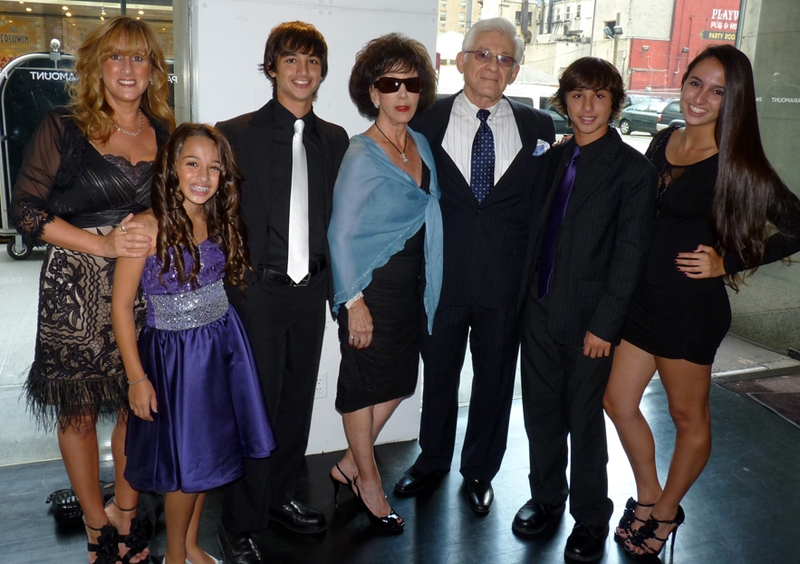 A new 20/20 special about Jazz and her family will air in October of 2012. To read more about the Colin Higgins Award visit ColinHiggins.org. For more information about the Trevor Project visit TheTrevorProject.org. 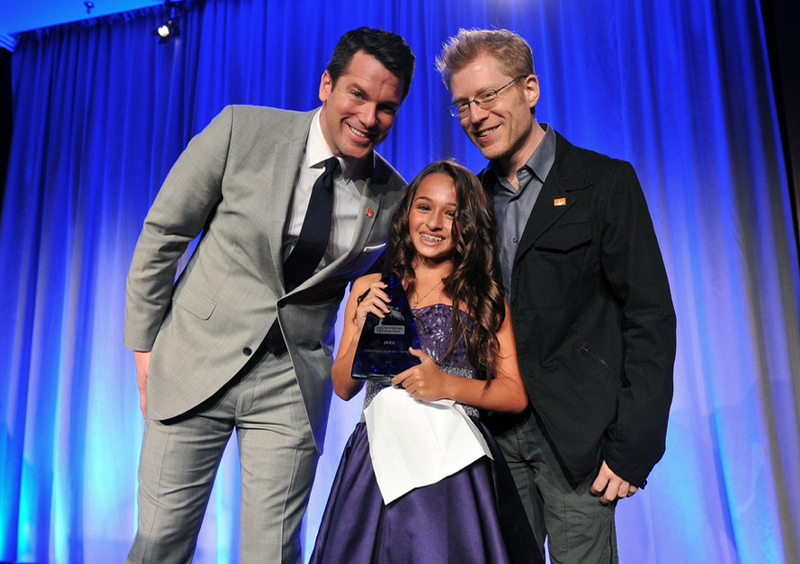 Jazz accepting her Collin Higgins Youth Courage Award from MSNBC News Anchor Thomas Roberts and Actor Anthony Rapp. 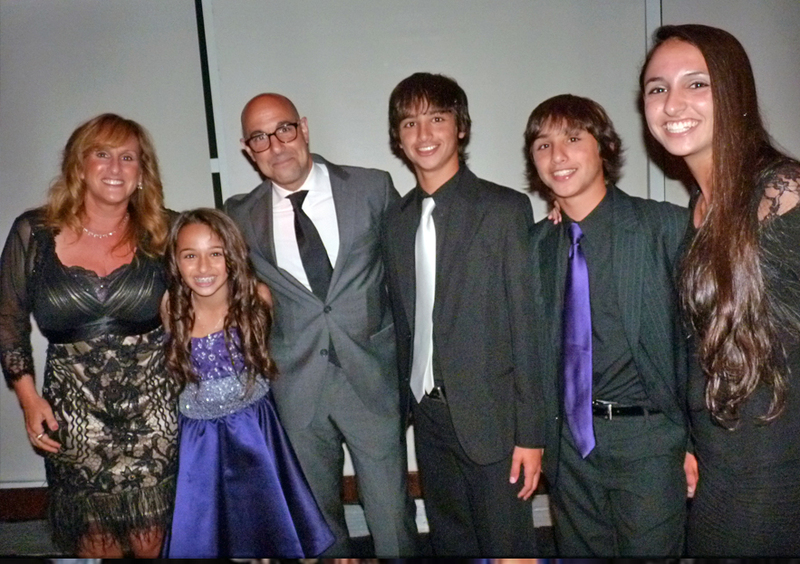 Jazz, her family & “The Hunger Games” Star, Stanley Tucci. Jazz with “Smash” star, Debra Messing. 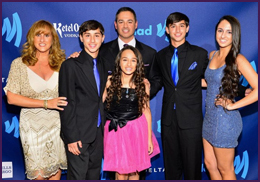 Jazz & her family at the Trevor Awards in NYC. 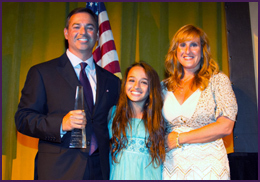 Jazz receives prestigious Collin Higgins Youth Courage Award. Jazz, you are the most courageous person I can think of. But the finest qualities you have – superb level-headedness, objectivity, and love of all people “of good will” – those have nothing to do with your gender identity. 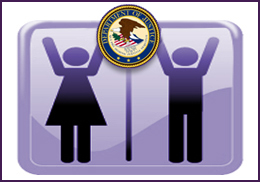 Those are qualities of the finest people on earth regardless of gender identity. Godspeed to you in everything you do, dear, and know there are countless people who support you around the world. I think nobody ssh we be made fun of its not fair you are you and and its bot your fault you are not in a girl body it was just nature taking its way i saw you on 20/20 it was amazing hopefully when you are older you can get a girl body because that’s just you your right you are unique and special:)! 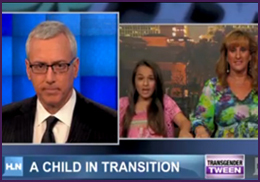 I am astonished by the courage and decency of Jazz and her parents. 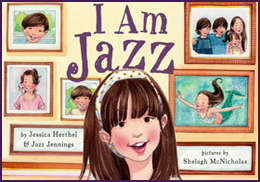 Jazz is obviously extremely bright, well-spoken and beautiful, and has gone beyond her own situation to make things better for other transgender kids who don’t have her ability to make themselves understood. And what luck that she was born to the right parents. How many couples have the ability to listen to their nursery-school or kindergarten age child and take what they say seriously? How many to believe that something that has not been part of their world is real and life-changing? I suspect that disbelief and fear of what might be ahead for everyone in the family would preclude most parents from so much as considering their child’s issue. To fully trust their child and the feelings she expressed and to have the confidence to demonstrate that trust is the best thing they might experience. We are the beneficiaries of that spirit. If we were all more courageous and said what we meant maybe things would be better. If you ever read this I would like you to know congrats about getting the award .I am 11 just like you and I am also in middle school I have watched your I am jazz video and I was heart broken I kept saying to myself jazz I would be friends with you any day your very pretty and I don’t care which parts you have and I think its very cool you don’t care what people think about you. If I was your friend I would be all the friends you need at school I would take care of you and stop when people bully you I have never known a person as cool as you. Keep Strong Jazz!